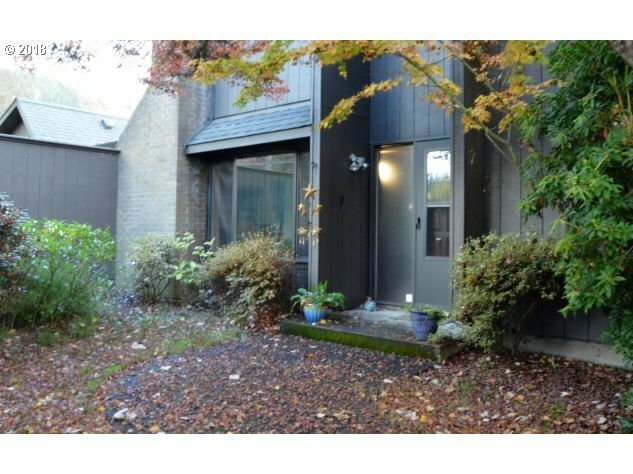 Corner ground level condo in South Eugene's quiet Edgewood Townhomes. There are many updates throughout this private living space. Beautiful new laminate flooring throughout, updated kitchen and bathroom, vinyl windows, walk-in closets, pellet stove, ductless heat pump, and open floor plan. Private fenced in patio and two car garage with storage and work bench. Selling Office: Madison & Beckley Realty Inc.